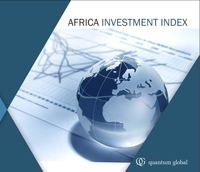 Africa investment index report by Quantum Global ranks serves as a guide for investors aiming to invest in the continent. Egypt's outlook for the growth of GDP, has a demographic quality due to the size of its population and enjoys ease of doing business; all these factors put Egypt at number 3 among African countries. Quantum global research lab released its "Africa Investment Index" Report which aims to act as a guide to investors planning on doing business in the continent. At 1st place came Botswana, followed by Morocco then Egypt. At the last place came Somalia. The report assesses countries based on 6 factors, 1- Growth: covering Domestic investment (%of the GDP), size of the economy and economic growth. 2- Liquidity factor: covering real interest rate and excess money supply. 3- Risk Factor: exchange rate risk, credit rating, import cover, external debt and current account ratio. 4- Business environment: assessing ease of doing business. 6- Social capital factor: assessing facebook penetration rate.